Inpatient rehab centers offer a structured program through which those with addictions are able to acquire both psychological and medical treatment for their illness. It is a more rigorous form of rehabilitation than outpatient programs, and in high-risk patients often has a better success rate. Even low-risk patients may find it easier to recover from their substance abuse problem through the stability of an inpatient drug rehab program. From the moment they search out “inpatient alcohol treatment centers near me” or “inpatient drug treatment centers near me,” potential patients at Elevate are able to go through a step-by-step program that is targeted towards helping them both achieve and maintain sobriety. Our inpatient alcohol rehab and inpatient drug rehab clinicians will evaluate the patient and the patient’s needs, with the goal of assessing their current risk and getting them the inpatient drug rehab care that they need. Once patients have successfully reached a clean and sober state, the next focus is on maintaining that sobriety. Patients will often check out once they are no longer considered to be a substantial risk of relapse, and we continue to help with optional sober living and aftercare programs, which makes finding an inpatient drug treatment center near them essential. Elevate’s inpatient drug rehab centers proudly serve San Fransisco and the Bay Area. Inpatient treatment is often used to reduce the medical risks associated with physical withdrawal. Physical withdrawal can be dangerous for patients with long-term substance abuse problems or patients who are abusing specific types of medications. 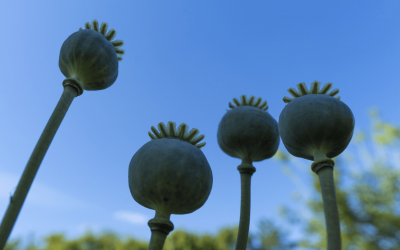 If patients are not allowed to taper off their drug use, they may need to undergo medical supervision while they are going through withdrawal. For even alcoholics, the process of withdrawal can be potentially fatal if it is not managed by a professional. Elevate’s inpatient clinic will be able to watch patients 24 hours a day to ensure that any of their potential medical problems are addressed quickly. Fighting through the initial physical withdrawal is often the most difficult stage for patients. 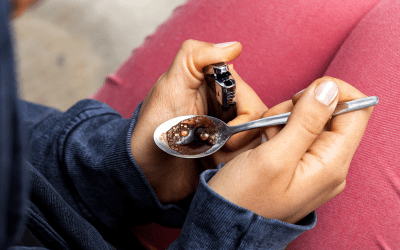 If they have not yet stopped using the substance they are trying to recover from, it can be advisable for them to seek help from an inpatient clinic. Drug abuse is a multi-factored illness. All factors need to be addressed to improve the odds of a patient’s success. Inpatient alcohol treatment provides comprehensive, round-the-clock care, to better improve the chances of a successful rehab. Those with addictions may find it difficult to remain rehabilitated in the same environment in which they previously did drugs. Many patients need to be close to their families, so searching out an inpatient drug rehab near them can be essential. Upon returning home, not only will they be subjected to the same stressors and triggers, but they may also be around individuals who previously facilitated their drug abuse. 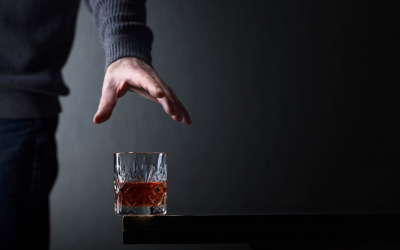 Apart from the environment, patients will also need to to work with the inpatient alcohol rehab program to address the symptoms of their physical and psychological addiction. This often includes finding the source of the patient’s need for drug abuse, which is often separate from their physical addiction. The goal of inpatient rehabilitation us not only to rehabilitate the individual but also to make sure that they have the tools to succeed once they have left the clinic. Patients will be taught ways they can avoid their potential triggers, such as by calling their caseworker any time they feel themselves slipping. After inpatient rehab, many patients will transition to outpatient services. They will still come in for medications, check-ins, and other services, but they will not stay in the facility. Follow-ups are incredibly important, as patients can use them as a tool to avoid sliding backward. Patients should address any concerns they have with their caseworker. If necessary, a patient may need.to be transitioned back from outpatient to inpatient services. This can happen if the individual feels as though they are going to relapse or if the individual fails a drug test. This creates an important support network for the patient that they might not otherwise have access to. It is possible for concerned family members to “commit” a relative to inpatient rehab, though the process is generally only possible if the individual has a significant problem. Judges will need to determine whether the individual in question could potentially be a risk to themselves or others. To commit a relative to inpatient rehab centers, family members need to compile a significant amount of evidence regarding their substance abuse problem. It may be necessary to have testimony from a police officer, medical professional, or another authority figure. A judge will then decide whether the individual should be committed to an inpatient rehab center and for how long. Commitment to an inpatient center is not a punishment nor is it a negative for the individual. Rather, it is geared at providing conscientious medical care to an individual whose illness may otherwise prevent them from seeking care. For some patients, outpatient procedures may be enough to achieve successful rehabilitation. For others, inpatient procedures may be ideal. It all depends on the patient and their unique relationship with drug abuse. Going into an inpatient clinic can be potentially disruptive to an individual’s day-to-day life, but it is also often the only solution for those who have failed outpatient rehabilitation in the past.